Is it time to replace your old door? There’s a lot of door terminology and parts that can make getting a new one quite complicated. If you try to get a replacement door without knowing these parts and terms, it can make the entire process a nightmare. Thankfully, we’re here to help. We’ll go over all of the door terminology and parts to help you make an informed decision. You’ll also be able to diagnose and fix many door problems simply by knowing the parts. In this article, we’ll go over the different types of doors and their parts so you’ll be well prepared for getting a replacement door. Let’s start with the different door types. We’ll go over the three types available: entry doors, storm doors and patio doors. An entry door is the main entryway into your home. Therefore, it must make a great first impression, be very secure and prevent drafts from getting into your home. 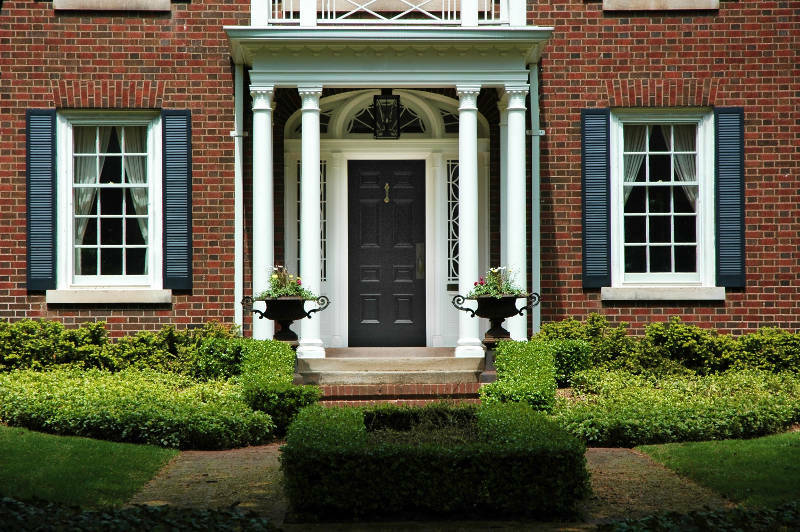 There are several materials an entry door can be made from such as wood, fiberglass or steel. 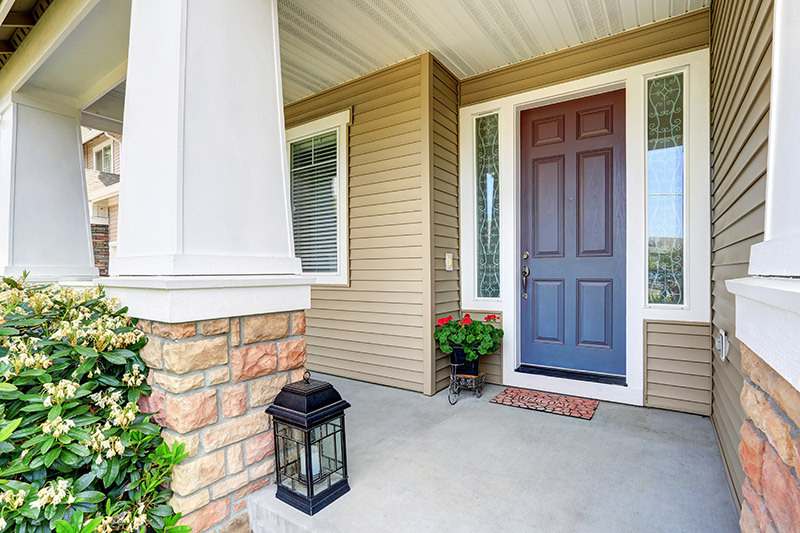 While wood might not be the best choice for an entry door in Milwaukee because it warps and rots when exposed to moisture, you can’t go wrong with either steel or fiberglass doors. Both of these materials are resistant to moisture so they won’t warp or rot, are strong enough to handle wind, rain or snow without any problems and have a foam core to improve your home’s energy efficiency. If you like the look of wood doors but don’t want to worry about upkeep, don’t worry – steel and fiberglass doors both have wood grain finishes which give the look and feel of real wood. 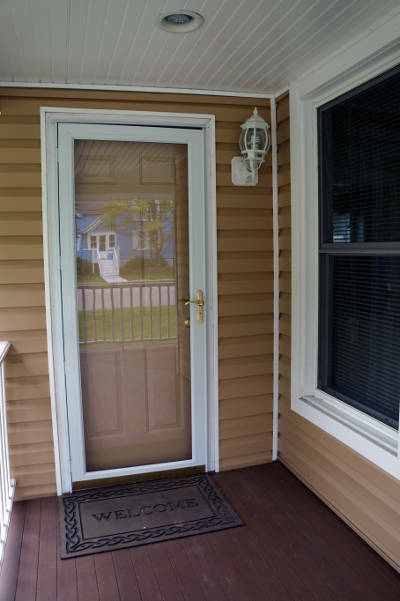 To protect your entry doors from the weather, you should consider getting a storm door. Storm doors are installed on the outside of your entry door and shield it from rain, snow and wind. The added barrier does more than just protect – it creates another layer of insulation for your entryway. This makes it difficult for heated or cooled air to escape your home which will reduce the stress put on your furnace and air conditioner. That means they’ll use less power to reach the temperature you want, lowering your energy bills. Patio doors have two purposes: they give you easy access to your deck or patio and improve the look of your home both inside and outside. While it might not seem like much, these are both very important jobs. There are two different types of patio doors you have to choose from: sliding patio doors and French patio doors. Sliding patio doors are similar to a large sliding window. They operate along a track, making them extremely easy to open and close. People of all ages will have no problem using a sliding patio door. They also allow the most natural light into your home thanks to their large pane of glass. 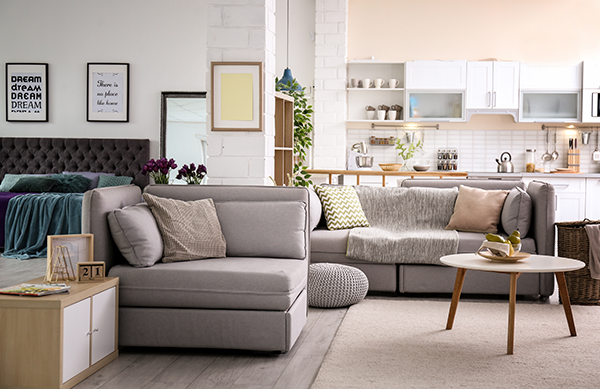 It’ll help blur the line between inside and outside, making the room it’s in feeling larger. French patio doors are more like traditional entry doors. They’re made up of two or three panels and swing open and closed on a hinge. The biggest benefit of a French patio door is its gorgeous looks. They create a grand entryway to your patio which will help improve the look of your home. With a wide variety of hardware and glass insert options, you’ll be able to customize the perfect French patio door for your home. It’s time to learn about the parts of your door, starting with the frame. A door frame is the casing that goes around the door to give it a decorative look and keep it secure. The very top of the frame is called the head and the sides are called the jambs. The jambs are what the hinges are screwed into to hold the door in place and allow it to open and close. The bottom of your door is known as the sill or the threshold. This is only found on exterior doors and help keep water from getting into your home by draining it away from the entrance. Around the frame of your door is the stop. This is what prevents the door from swinging too far. It also stops the door from being ripped off the hinges. Located on the stop and jambs is weatherstripping. 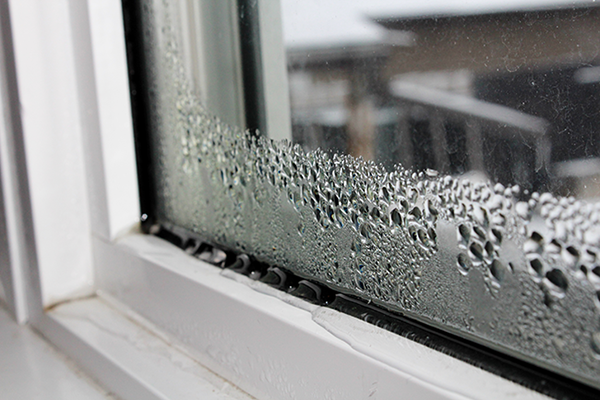 This creates an airtight seal and helps make your door more energy efficient. Now that you know what encases the door, it’s time to learn about the door itself. Let’s start with the main piece, the slab, which is the door itself. On the sides of the door you may have sidelights. These are optional panels with windows that can run on either or both sides of your door. You can also get a transom above your door which is a large semi-circle, square or rectangular window. Some doors have panels on the slab. These are decorative, rectangular patterns that give your door depth and dimension. Between the panels are rails and stiles. Rails run from left to right while stiles go up and down. Some stiles have unique names based on their location. The lock stile is found on the same side as the tubular lock which is where your lock is located. The hinge stile is found on the same side as the hinges. Certain rails have specific names as well. The top rail is found on the top of your door while the bottom rail is found on the bottom. The rail where the tubular lock is located is called the lock rail. Another optional feature for your door is a window panel, also known as decorative glass. 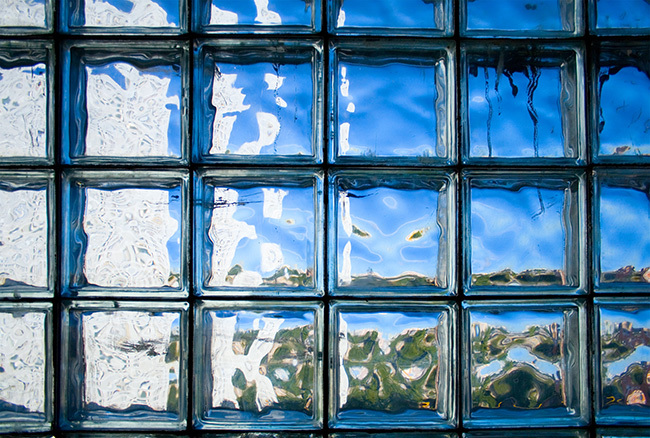 A window panel is a piece of glass that’s found on your door slab. They come in a wide variety of sizes and decorative patterns. On the bottom face of the door slab is the kick plate. It’s usually a metal rectangle that runs the length of your door. The main purpose of a kick plate is to add structural integrity to your door as well as looks. There are some parts found only on a storm doors. One example is the closer, which controls how quickly it closes behind you. This can be adjusted to make your storm door slow or fast depending on your needs. Storm doors also have a glass panel, which can come in a few different sizes. Full-view storm doors have a pane of glass that makes up the entire door slab, mid-view storm doors have a pane of glass that makes up the top half of the door slab and high-view storm doors have a pane of glass that makes up the top third of your storm door. One of the benefits of storm doors is you can replace the glass with a screen in the summer so you can enjoy fresh air. There are many different screen options available but one of the most popular is a metal mesh screen. They’re made of metal so pets and small children can’t rip through them easily. Bottom sweeps are found under the door slab and prevent drafts from getting into your home from underneath your door. While French patio doors are built similarly to entry doors, sliding patio doors have their own unique set of parts you should understand, starting with the sliding track. There are two tracks found on the top and bottom of the frame. They’re called the top track and the bottom track. These tracks are the path your sliding door travels along to open and close. The rollers are the pieces that move the door along the tracks. The latch is found near the handle of your sliding patio door. It grips into the frame and prevents the door from opening. There’s also a footbolt which also helps secure the door and is operated with your foot. 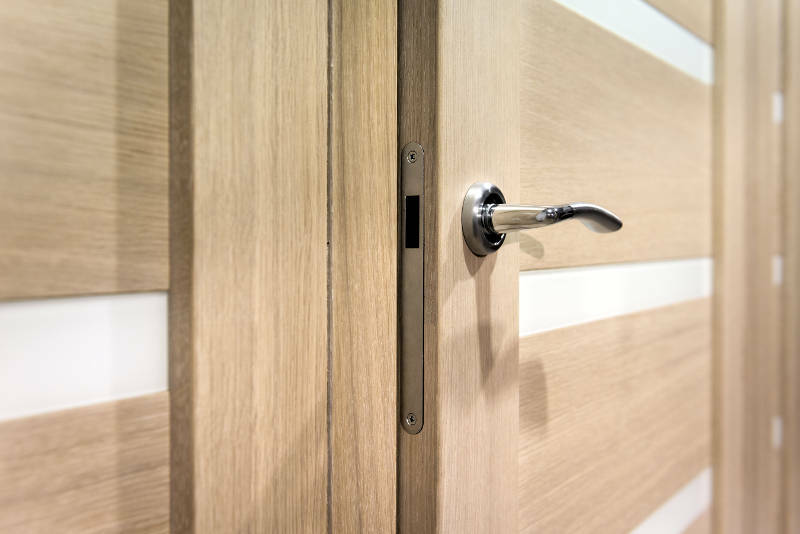 Along with knowing the parts, there’s some door terminology you need to be aware of as well. The slab and the frame make up the door unit. It entails everything that was mentioned above. If the door operates, it’s known as an active door, while a door that doesn’t move is known as an inactive door. Some sliding and French doors have fixed doors and are there more for beauty. Swinging doors have two different styles: inswing and outswing. Inswing doors open into the home while outswing door open outwards. You can also determine what side of the door the hinges hang. These are called left hanging doors and right hanging doors. R-value is a very important part of your door’s energy efficiency. It calculates your door’s ability to resist heat flow. The higher a door’s R-value is, the more resistant it is to heat. Knowing door terminology and parts has many benefits to you. Not only will it make diagnosing problems much easier, but it helps when getting a replacement door as well. Feldco wants to help you with your next replacement door project. We’ve served over 350,000 homeowners over the last 40+ years and are Milwaukee’s best door company. Get a free quote now and see why so many homeowners have trusted us with their home improvement project.